The LevelOne N_Max Wireless series of network products provide users with more than just high-speed wireless network connections. Apart from delivering speeds of up to 300Mbps, the N_Max series provides an extended wireless network coverage area and enables users to enjoy multi-media streaming and other bandwidth demanding applications such as VoIP, Internet video conferencing and network gaming. 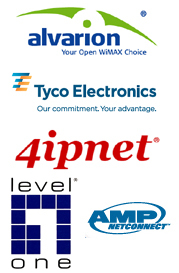 The LevelOne N_Max Wireless PCI Card for desktop computers provides users with wireless network speeds that are faster than traditional 100Mbps LAN connections. With wireless network connectivity exceeding traditional 10/100Mbps connectivity, users can now enjoy the freedom of non-wired network connections*. 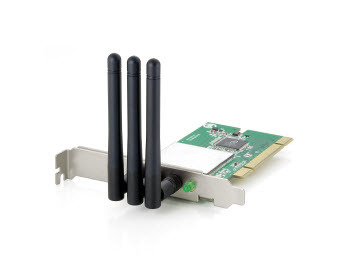 The WNC-0610 Wireless PCI Card enables desktop computer users to connect to the LevelOne N_Max Wireless Broadband Router or other wireless Access Points at further distances than before. This feature is extremely useful for large area home and office users that have difficulty connecting to their wireless networks. The WNC-0600 N_Max Wireless PCI Card supports an array of standard and advanced network security features. It supports 64/128-bit WEP encryption as well as WPA and WPA2 security protocols for a secured connection to secured Wireless network. Network speeds vary according to network equipment, network set-up and environmental influence factors. For best performance, use LevelOne N_Max Wireless Broadband Router.